to work at being your healthiest you. Team Herzog is proud to share with you some of the best health and wellness products on the planet that are proven to achieve maximum results. All Total Life Changes (TLC) products use the finest ingredients and implement product quality assurance processes from the first steps of product formulation through final production. TLC works with respected industry scientists who put these products through rigorous testing to ensure these products surpass quality regulations, worldwide. Learn more about Team Herzog and read how excited they are to share their philosophy on “building a legacy that outlives you” it is possible for anyone committed growing and learning with their team while utilizing a line of phenomenal health and wellness products developed by total life changes. "They worked for me!! I was told that the product burns fat, reduces your sweet cravings and curbs your appetite. It did just that for me! I noticed that it was easier for me to walk past those cookies on top of the counter at work and I was eating less. I lost 20lbs in 3.5 weeks! All I can say is everybody is different, but I HIGHLY recommend this product!" "Good weight loss product. It curved my appetite, made me drink more water and boosted my metabolism. You will not regret it." "The product is working and it helps with my inflammation. Great for your overall health! 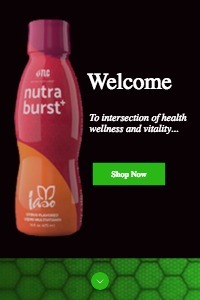 "Since taking this and a B-12 I have so much energy!!!! I wake up early everyday workout, go to work, and still have enough to get one more workout in! Wake up just to do it again ...!!!! This stuff gave me the energy and vitality I needed to get out my rut which brought me to a depression. Will continue ordering!" 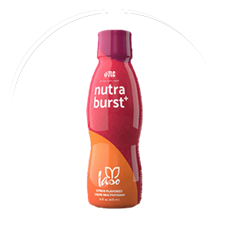 Nutraburst Plus – Review Benefits, Good or Bad? Iaso Tea Instant – Same Weight Loss And Detox Benefits!